Elder abuse can refer to a number of situations that are damaging to older adults, including physical, emotional, mental, financial and sexual abuse. And with the rising senior population across the United States, these issues are something that older adults and their loved ones must continue to be aware of and protect against. This comprehensive guide helps you understand the issue of elder abuse and who may be impacted. It also provides loved ones with tips on how to spot elder abuse of various types and what they can do to prevent it or combat existing abuse. Throughout the past century, the senior population of the nation has grown substantially, says the National Center on Elder Abuse. There are also many older adults in the U.S. ages where assistance and care may be a priority due to deteriorating health conditions, physical capability or mental capacity. These statistics and the current demographic situation mean there are more seniors who need access to national care systems, more families trying to provide care to older relatives and more older adults who are at risk of abuse. The World Health Organization notes that elder abuse can exist in both domestic (home) and institutional (hospitals or nursing homes) settings and that it’s a problem that dates back to ancient times. It’s only in the last four to five decades that the issue has moved beyond a private matter to a public concern, with research becoming more widespread and awareness campaigns and policies shifting to shine a light on the problem and offer options for help. One thing that’s important in understanding elder abuse — and whether your loved one might be in danger of becoming a victim — is to know why seniors are at risk for these types of abuse. While some elder abuse arises from a stressful situation or poor decision making, there are times when abuse is malicious and intended. That can include physical, emotional and sexual abuse, but it also includes financial abuse. 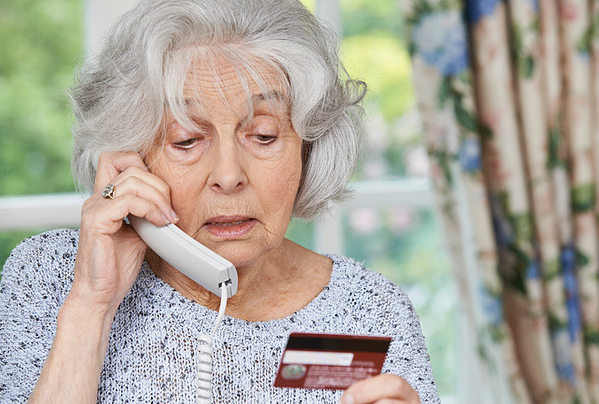 Financial abuse occurs when someone — a family member, a friend or even a complete stranger — abuses trust or another connection with an older adult to steal money or get something of value from them. These are just some reasons older adults can be at risk for abuse. Every person is different, and many factors can lead to a person being abused or remaining in an abusive situation. It’s important to remember that any person can be a victim of abuse, so seniors who don’t have or experience any of these risk factors aren’t immune to the problem. Studies on elder abuse return differing statistics, due in part to the cultural differences of various populations and disparate reporting habits and mechanisms. However, the NCEA reports that prevalence of abuse of seniors is believed to be around 10 percent. That means, when you account for all forms of abuse, around 1 in 10 elder adults is impacted. Agencies also know that elder abuse is under reported. 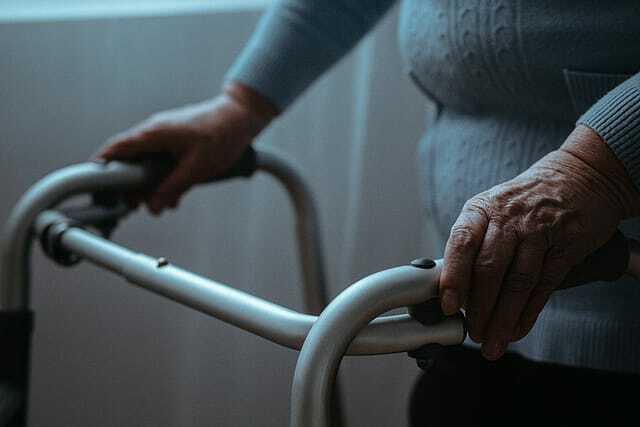 A study of self-reported elder abuse by the New York City Department for the Aging found that in New York, there were potentially 24 elder abuse cases for every case that was actually reported. Physical and sexual abuse of older adults can take place in homes or facilities and may be perpetrated by family, friends, caregivers or facility staff. It’s important for loved ones to understand the signs of physical or sexual abuse and how to best protect their older relatives and friends. Unfortunately, seniors won’t always speak out about these types of abuse for some of the same reasons that victims of many ages don’t. They may have been threatened by the abuser or feel ashamed or unable to explain how the abuse came about in the first place. Some might have been talked into thinking they “deserve” the abuse. Seniors might also feel dependent upon the person abusing them and worry about who might take care of them if the abuse is reported. Common signs that an elderly person is being physically abused include the following. 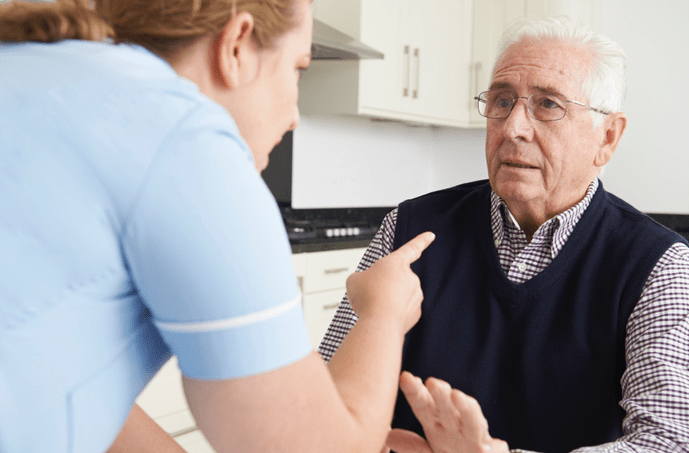 Signs of physical abuse against an elderly person tend to include unexplained signs of injury such as those listed above, says Anne Sansevero, a registered nurse and member of the board of directors of the Aging Life Care Association. “Be alert for a history of broken bones, sprains or dislocations and sudden hair or tooth loss, especially if the injuries are unexplained or explanations do not ‘fit’ with the findings,” she says. Sansevero also advises looking out for behavioral indicators on the part of the elderly person’s primary caregivers. Not allowing you to visit with the elderly person alone, inconsistent explanations for injuries or taking the elder to multiple medical facilities for treatment can all be red flags that abuse is occurring. The same behavioral issues that might indicate physical abuse, such as not wanting you to talk to the person alone, could be signs of sexual abuse as well. Verbal or emotional abuse doesn’t come with the same physical signs as physical or sexual abuse — with this type of mistreatment, the bruises are on the inside. It’s also even more likely that a loved one might cross the line with this type of abuse, especially if they are feeling stressed by the situation and taking it out on their elderly relative. Understanding how to spot emotional or verbal abuse is the first step in addressing it, whether you’re the one who is at fault or a caregiver or another person is doling out the mistreatment. The following are signs that your elderly loved one may be experiencing verbal or emotional abuse. Emotional abuse is one of the most difficult problems to spot because the victim may be unable to convey what’s happening due to illness, dementia or fear of being neglected. “The elderly person is unable to fight back,” says Dr. Irene Deitch, professor emeritus of psychology at the College of Staten Island, part of the City University of New York. Often in cases of emotional abuse, Deitch adds, a spouse or an adult child will isolate the senior, not allowing calls or visitors, so no one else gets a sense of what’s happening in the house. Keeping your elderly loved one safe from all of these types of abuse requires paying attention to the situation, staying in touch and making some common sense decisions about the care of an older adult who needs regular assistance. Here are some things families can do to help prevent physical, sexual, emotional or verbal abuse of older adults. Encourage activity and socializations. Active seniors may be more confident and have a social support circle to turn to if something seems odd with a caregiver or relative. Choose caregivers wisely. Whenever possible, don’t let a senior loved one live with a caregiver or relative with violent tendencies or anger issues, past drug problems or other behavior that might put the senior in danger in times of stress. Encourage independence and mobility whenever possible. Promote senior independence and encourage the use of mobility devices, apps and other tools that help strengthen an older adult’s memory or ability to move about on their own. Independence helps reduce the risk of abuse. Financial abuse can occur when a caregiver or other trusted individual steals from a senior. Often, these individuals take advantage of their relationship with the senior to gain access to valuables or money. But scammers can also take financial advantage of seniors, which means loved ones and seniors themselves should be careful who they trust and how they handle accounts and money. Signs that an elderly loved one is the victim of financial exploitation differ by scam or abuse type but can include the following. Financial exploitation of elders is all too common. Older adults may be particularly vulnerable to this type of abuse for a number of reasons, says Loewy, who now serves as general counsel and senior vice president for industry relations at EverSafe, a financial monitoring service for older adults. Because financial abuse and scams targeting seniors are so prevalent, we’ve broken down some major types of financial abuse, what families might look for in such cases and how to prevent or fight back against these abuses. An heirloom bracelet goes missing, electronic gadgets can’t be found, a wallet or bank account seems to be bleeding cash. Talk to anyone who’s hired someone to help care for an older loved one, and theft is almost always a major worry. Bringing a paid caregiver into the home — whether through an agency or privately — can come as welcome relief to all, but it in some ways it may also feel like a risky decision. While the prevalence of theft on the part of paid elder caregivers has been tough to measure, it’s enough of a problem to warrant the attention of anyone whose loved one receives such professional care. Here are some key warning signs that a caregiver could be stealing from your elderly loved one. 1. Receipts that don’t add up. If grocery shopping and other errands are among a caregiver’s responsibilities, it’s pretty easy for mix-ups to occur. You might notice items listed on a receipt that seem out of character for your loved one or certain supplies that seem to run out — and be replaced — with surprising frequency. If the caregiver takes your loved one out to shop or dine, you may notice purchases from stores that he or she doesn’t typically frequent or restaurant meals that are out of your family’s typical price range. A few dollars here, five dollars there may not seem worth making a fuss over. Is it worth rocking the boat over a little bit of paycheck padding? If you find yourself hesitating over a questionable purchase in case it’s an honest mistake, bring it up in that spirit, keeping it light and non-confrontational. Explain that you noticed a purchase that didn’t seem to be something intended for your family member, and you’d like to keep those kinds of purchases separate in the future so it’s easy for you to keep track. If you — or the agency you’re working with — haven’t already done so, run a thorough background check on the person you’ve hired. While some agencies do an in-depth background check on all employees, including requiring drug testing, others are much less thorough. It’s important to make sure good research was done, says Rosenblatt, because records of crimes committed in other states or counties may not come up during a simple records search in your area. Next, make sure you’ve securely protected your family member’s finances from potential fraud. The best way to do this is by having your family member sign a durable power of attorney for finances, which authorizes you or another trusted person to oversee financial transactions. For many older adults, a caregiver quickly becomes a trusted friend, often the only person they see from day to day. With such consistent and intimate contact, close bonds are common. But keep your eyes open for anything that seems to step over the boundaries of professionalism. Watch and listen for signs that your loved one is becoming emotionally involved with or dependent on his or her caregiver, such as talking about the caregiver all the time or seeming to consider that relationship more important than friendships or family ties. Typically, thieves planning a scam will gradually “prime the pump,” seducing an elderly target with greater and greater shows of affection until he or she becomes emotionally dependent on the caregiver. First, ensure your loved one has social outlets outside of the caregiver, such as day programs or regular time with friends and family. Next, safeguard finances by ensuring a trusted relative has access to monitor accounts. You can also put daily spending limits in place to limit losses should theft occur. The caregiver relationship is a professional service. If it becomes personal enough for your loved one to become involved in the caregiver‘s private life, the caregiver has clearly crossed a line. Act quickly. You may hesitate to question your loved one’s judgment, but the caregiver, if he or she is a practiced scammer, will be counting on that. Call a family meeting and discuss the situation with all family members, including siblings who don’t live nearby. Make sure everyone is on the same page, so you don’t end up in the all-too-common situation in which family members are divided against or undermining one another. Depending on how your loved one reacts, you may wish to terminate the caregiver’s employment or set up a more careful monitoring situation in which you limit access to funds. If possible, consult a family lawyer to make sure all possible legal protections are in place, says Caring.com legal expert Barbara Kate Repa. If your loved one’s judgment appears to be seriously impaired and you’re not able to convince him or her to grant you power of attorney, you may need to consider trying to obtain legal guardianship, also called conservatorship. Be on the alert for other signs of alcohol and substance abuse. Check the liquor cabinet and make a note of liquid levels in each bottle; you might even taste the contents to see if they’ve been watered down. Go through bathroom and kitchen cabinets and empty them of any prescription and over-the-counter medicines that might tempt an abuser. For prescriptions in current use, count the pills so you can check if doses go missing. Hide medications in a safe place or — if your loved one doesn’t need them right now — take them home with you. Keep prescription receipts and labels in a safe place, so the caregiver can’t call in refills without your knowledge. If your caregiver was hired through an agency, report all unexplained absences and discuss the situation with the agency. If the caregiver has a history of this type of behavior with previous clients, the agency should be proactive about assigning you a new caregiver. If the caregiver was hired independently, have a frank discussion and set boundaries. Explain that you require 24 hours advance notice if he or she has to miss work, and another unplanned absence is going to be grounds for dismissal. Then stand firm. The caregiver will almost certainly use illness as the excuse and protest that illnesses come on suddenly, but don’t get sucked into that debate. While this is happening, take all necessary precautions to protect your loved one’s cash and financial records because a caregiver with a drinking or drug problem is a risk and a disgruntled former caregiver can be a threat. Today, people over age 50 control 70 percent of our nation’s wealth. This sets older adults up for a variety of theft schemes and scams, not because they’re older and weaker but simply because they have the money and thieves know it. 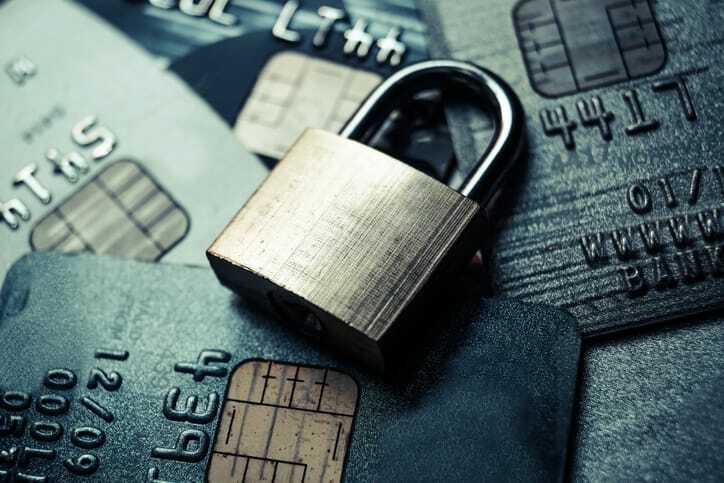 Identity theft occurs when someone uses another person’s personal information or accounts to gain access to money. They may take out loans in the person’s name, access benefits (such as health care) under the person’s identity or use their knowledge of the person’s accounts and data to make purchases or withdraw funds from an account. Unfortunately, well over two-thirds of the financial crimes committed against older adults are perpetrated by someone the victim has a relationship with — a family member or paid or unpaid caregiver. This, combined with shame and embarrassment, leads to a significant underreporting of these crimes, says Kim Connors, deputy district attorney in Santa Clara County, California, who prosecutes financial crimes against older adults. While it may seem tempting to deal with a matter privately, or through the civil courts, the best way to handle any suspected theft or fraud is to make a report to the local police department, Connors says. This can be a daunting prospect for older adults, but many local police departments and county prosecutors have special units specifically established to handle crimes committed against them. In addition, insurance companies won’t investigate a theft claim unless the victim has made a police report. So the first step, as hard as it may be, is to call the local police department non-emergency line and ask that an officer be sent out to take a report. These officers are often willing to come to the person’s home so the older adult can tell her story in familiar surroundings. Another option is to call the county Adult Protective Services department. In many places, this is part of the county Health Department. The department has social workers and other professionals adept at handling these matters, and they can help get the process started. In many cases, the most difficult hurdle in reporting theft against an older adult is the victim’s sense of personal shame and embarrassment over their own perceived failings. Others may feel too much time has passed to report the crime. But in most states, authorities can still successfully prosecute crimes, especially financial ones where there’s a paper trail, years after they’re committed. In California, for example, authorities can prosecute crimes up to four years after an older adult discovers they’ve been victimized. After a police officer takes an initial report, they give that information to a detective, who will do the follow-up work. This often entails gathering the paperwork that will show a crime has been committed. If the victim knows who committed the theft, they may be shown a photo lineup of suspects and be asked to pick the person who committed the crime. Again, in most cases, much of this can be done without going into the local police department. Investigations can be short, covering just a few days, or they can take months, depending on the crime and the resources of your local agency. Once the detective has finished his work and there’s enough evidence to prosecute, the matter is turned over to the county district attorney’s office. Again, most counties have special units to prosecute crimes against older adults. When identity theft (or outright theft) was perpetrated by someone the victim knows, it is usually more possible for police to discover the perpetrator and for justice to play out. When a scammer or anonymous identity thief is involved, this resolution may be less likely. Still, it’s important to go through the reporting process because police reports and official activity may be required when correcting information with credit bureaus or financial accounts. In nearly all cases — 90 to 95 percent — the victim can avoid going to court altogether, as these cases end in a guilty plea. Very few criminal cases actually go to a jury trial. If your friend or relative’s is the rare case that does go to trial, they’ll have to testify about their loss in court. This is the only time an older victim will have to appear to court. Connors says many older adults are worried that they’ll forget dates and details and become flustered while testifying. Most prosecutors will lead the victim through the process beforehand so they know what to expect. Additionally, the victim can read earlier statements to police and refresh their memory about details that may have later become confused. Victims, of course, can attend other hearings, and if the person charged with the crime pleads guilty or is found guilty, the victim may be asked if he or she wants to participate in the sentencing phase. Often, they’ll have already been contacted by the county probation department, which draws up a report about the crime and its impact on the victim and then makes sentencing recommendations to the court. At the time of sentencing, the victim can attend the court hearing and tell the court how the crime affected them. Many older victims choose to read a letter they have written to the court or have the prosecutor read the letter for them. Many victims believe that reporting the crime means the local authorities will be able to get all their money or assets returned to them. Although this is possible in some cases, it often is not, nor is it the job of local police or county prosecutors to “undo” the crime committed against the older adult. There are agencies, however, that will assist you and the person you’re caring for in doing this. Look for local agencies such as Senior Adult Legal Assistance, Adult Protective Services or Legal Aid Societies for help. In many cases, the perpetrator will have already spent the stolen money, making it impossible to return it to the victim. But some simple scams can be more easily reversed. For instance, one way scam artists take control of an older adult’s car is to go to the local Division of Motor Vehicles and claim a family member died and gave them the car, but no one can find the title. The unsuspecting clerk then issues a new title in the thief’s name. In this instance, the problem can be corrected by a court order mandating that the department reissue the title in the original owner’s name. 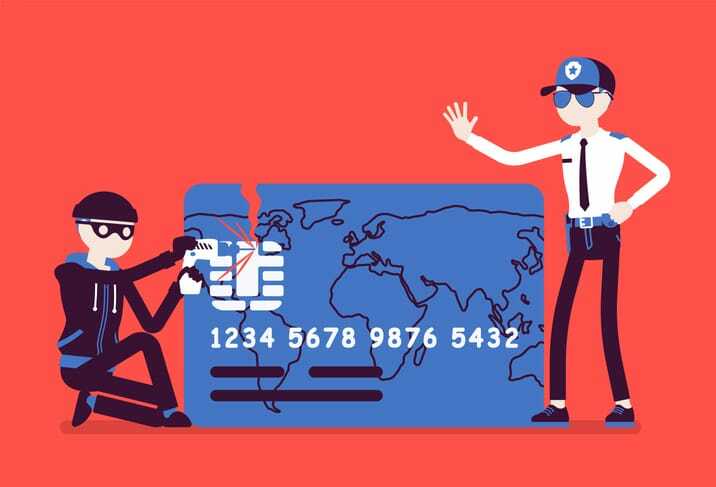 Likewise, if funds are stolen via credit card or through forged checks in an identity theft scheme, often a bank or credit card agency will refund the money. 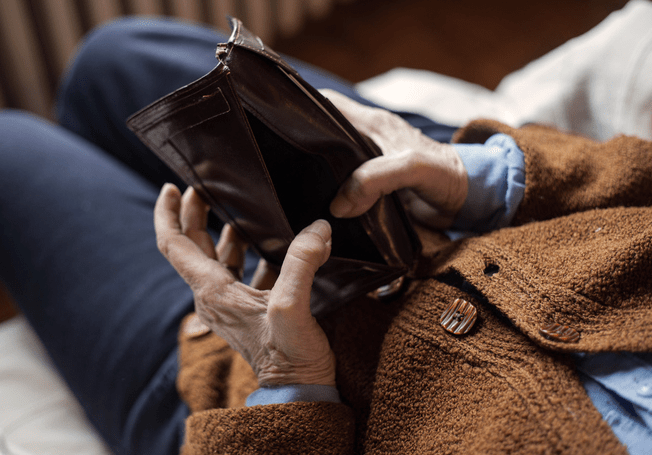 Older adults can sometimes be compensated if they miss work, need psychological counseling or have medical expenses related to the crime committed against them. In California, for example, these expenses can be reimbursed through a special victims’ compensation fund. Ask your local county prosecutor if this is available where you live. One of the most valuable aspects in reporting a crime, Connors says, is that it helps prevent another older adult from falling victim to the same scam, or even the same perpetrator. Scams are different from both caregiver and identity theft. These usually involve seniors giving money or access to their accounts to someone willingly because they’ve been tricked into doing so. The damage from scams can be very difficult to reverse, and the anonymous (and often international) nature of these crimes can make them almost impossible to prosecute. Because of this, prevention is incredibly important. 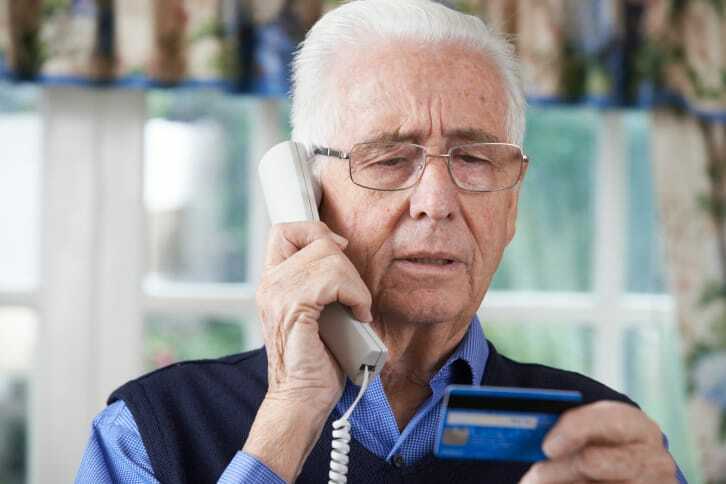 Here are some of the top internet and phone scams targeting seniors and corresponding protective measures older adults and their families can put into place against them. You check your email and see a notice from UPS, eBay, PayPal, the IRS, your bank or any other official-sounding financial entity. It says your payment has been refunded, your account is due, your payment didn’t go through or your account information needs updating. Sophisticated identity thieves send carefully disguised email solicitations with hopes of peering into your computer to obtain personal information. They hope you click the link provided or respond with specific information. Don’t open any email that references payments or other financial transactions if you’re not sure. Instead, call the financial institution from a customer service number you have outside of the email to verify any information. If you do open the email, look at the email address it’s coming from to make sure it’s identical to the real thing. Take a close look at the subject line of the email: the grammar, the font, the exact URL referenced. If it looks suspicious, delete it. Don’t click on links in these types of emails. Instead, check the link by opening a separate browser window on your desktop and going to the official website in question to see what the real URL is and whether the two match up. “Yes, it takes a while, but better than losing your life savings or having your credit ruined,” says Alexis A. Moore, founder of Survivors in Action, a group that provides education about internet and record-keeping security. If things look fishy, change the passwords on your online accounts, freeze any credit cards you’re concerned about and start watching your credit report to see if identity theft has occurred. Seniors can protect themselves by knowing that too-good-to-be-true usually isn’t true. It’s typically unlawful for businesses to request fees up front for loans, even if those fees are called insurance, taxes or processing fees. These types of fees, when they exist, are not paid in cash but are rolled into the financing arrangement. You should also beware of false promises. No legitimate lender can guarantee you’ll get a loan before you even apply. If someone promises you a loan before you’ve submitted an application, you can bet it’s not on the level. You get a phone call from a stranger, a pitch over lunch from a colleague or an offer from a trusted financial advisor to invest in something that promises unrealistic returns. Sometimes this offer comes from a friend or trusted leader in a church or neighborhood who has fallen for the scam themselves and is being unwittingly used to dupe others. Never trust anyone who promises a high return in a short period of time. 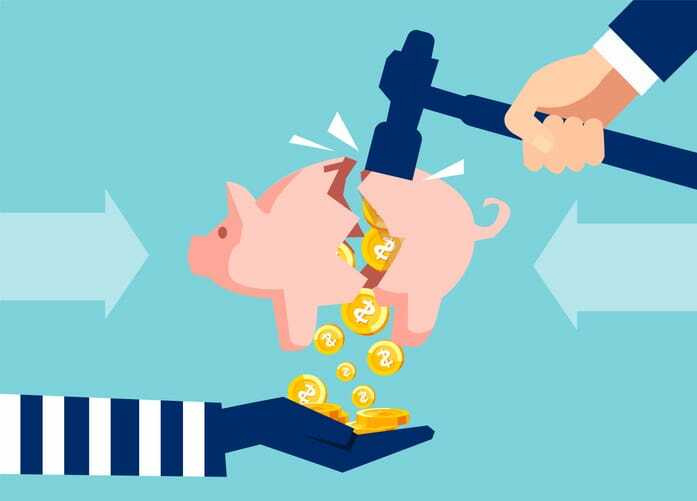 “When someone promises higher returns than the market, think of it as bait designed to hook you,” says Pat Huddleston, a lawyer and CEO of Investor’s Watchdog, an investor protection firm. Beware of independent brokers who appear to be operating as sole agents; you want your investment account to be held with an independent, third-party custodian that’s regulated and monitored by regulatory agencies. This scam relies on recent news events to make it sound familiar so seniors and others will trust it. An investment advisor describes an investment in a new technology designed to solve an important current problem, often an issue that’s a hot topic in the news, such as the need for alternative fuels. The advisor may show you a portfolio of news clippings about a scientific or technological topic. Remember that if it sounds too good to be true, it almost certainly is. Be wary of crisis-du-jour investments. “When the dollar was bottoming out, currency trading scams surged. When gas cost more than $4 per gallon, people rushed into oil and gas scams,” Huddleston says. Be wary of scams that offer a fast, high-profit solution to the immediate needs of the day. A company promises they have an “in” with the credit bureaus or knows some secret regulation that allows them to clean up your credit. (No such thing exists.) Or they promise to get you a new, clean credit record; this may involve applying for a new taxpayer identification number or employer identification number — a felony offense. Or they promise that they’ll help you convince a creditor that you don’t really owe the debts. While the disputes are ongoing, the charges may be temporarily removed, at which point the scamming company shows you the “clean” record to prove that the debts were cleared. But they weren’t, and by the time the debts are re-listed on your record, the company is long gone. Meanwhile, if you’ve paid up front, you’re out a lot of money. Look into repairing your credit yourself (or with family help); there’s nothing a credit repair company can do that you can’t do yourself, although it can be time-consuming. And if you really want to engage a service, choose carefully. Make sure you’re given a contract to sign and an official document called “Consumer Credit File Rights Under State and Federal Law,” which advises you of all your rights. If you don’t get those things, something’s fishy. Take plenty of time to read the contract and make sure you understand it before signing it. Among other things, the contract should spell out the services to be performed, the dates of service and how much you’re going to be charged for the credit repair services you’re contracting for. There should also be a statement letting you know that you have three days in which to cancel the contract; if not, it’s not a valid contract. If the information on your credit report is accurate and is less than seven years old, beware anyone who tells you they can remove it. They’re offering to do something dishonest, so you know they’re not on the level. 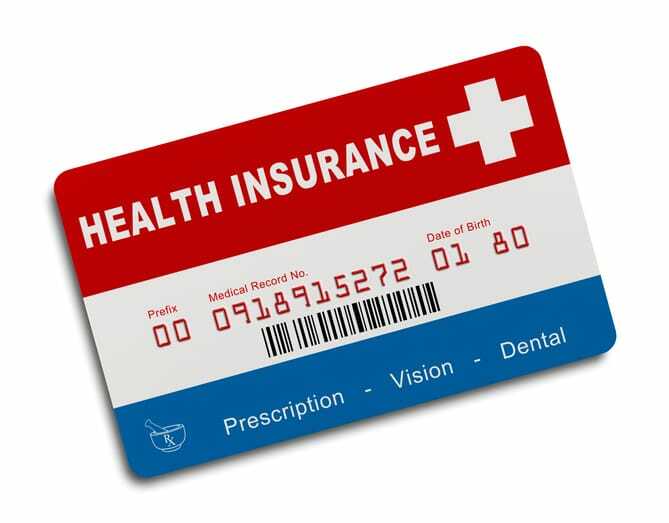 Someone gains access to your personal information — by stealing paperwork out of your recycling bin, posing as someone legitimate on the phone or finding other ways to get your health insurance ID number and other data — then quickly racks up medical charges, draining your medical benefits. You end up saddled with co-pays and percentage-based fees for services you never received while your insurance company or Medicare is hit with huge charges. An additional side effect of this type of fraud is that your medical information ends up mixed up with that of the patient who fraudulently used your coverage. The result can be serious errors and misdiagnoses and a lengthy, frustrating process of cleaning up your medical records. Don’t provide your medical insurance information to anyone, either over the phone or in person, no matter how legitimate-sounding the request, unless you’re absolutely sure the information is going to your provider, says Alexis A. Moore, who founded Survivors in Action. You’ve seen the ads: “Be your own boss! Earn thousands of dollars a month working from home! Become part of one of America’s fastest-growing industries!” But as always, if it sounds amazing, there has to be a catch. In this case, the catch is that these jobs — which can be anything from processing online rebates to medical billing to home craft assembly — require “starter kits,” certifications or other credentials, and software or equipment that cost money before you start. You’re promised you’ll make that money back within the first weeks of work. In the meantime, you’re asked to incur other start-up costs, such as buying supplies, placing ads in newspapers or working without pay until the payments begin flowing in. Before signing on, check the company out with your state Attorney General, Consumer Protection Agency or Better Business Bureau. There are real, legitimate work-at-home gigs, but they’re rarer than the fake ones. Ask lots of questions, such as when and how you’ll be paid, by whom and exactly what costs will be incurred up front. The sites offer used cars at bargain-basement prices, usually claiming the cars have been repossessed when people didn’t make their payments. The phony websites use the name, address and contact info for a real dealer, often one that’s respected in the community. In many cases, there are other legitimizing touches, such as a link to Carfax. However, the “dealer” communicates only via email, and when you input your information, you’re instructed to make a deposit payment by wire transfer. The balance of payment is supposedly due upon delivery of the car, which never happens. Never engage in any transaction that requires money to be sent by wire transfer. That in itself is a major red flag, experts say. Money-grams can be picked up and cashed by anyone with the correct ID and are untraceable once cashed. Check out the company with your state Attorney General’s office, Better Business Bureau or Consumer Protection Agency. You receive a recorded or live phone call from someone warning you that an official-sounding agency, such as the IRS, has issued a warrant for your arrest or seizure of your assets. To avoid losing everything you own and potentially even your freedom, you must take immediate action to resolve the issue. That usually means making some type of payment. These callers may request that you pay them with gift cards or wire transfers (both a key sign of a scam) or give credit card information over the phone. They then use that credit card information to steal money from you. Know how the real agencies conduct business. The IRS and other entities don’t call you out of the blue with sudden (grammatically incorrect) warnings of arrest. If you owe taxes or some other type of bill, agencies will send you notification in writing and provide time for you to respond. Never make a bill or tax payment via wire transfer or gift card. Reputable agencies don’t accept these forms of payment. If you’re worried about your account, hang up the phone and call the real customer service line for the organization (find it on the agency’s website, and never call the number provided by the caller). Ask about the status of your account and explain that you received a threatening phone call from someone. This phone scam is very scary and usually targets seniors because scammers believe they can intimidate them and that older adults may not realize how technology can be used against them. The scammers use technology to spoof a phone number from someone you love — perhaps a grandchild. They then demand you make payment of some kind, often in an untraceable form, if you want to see your grandchild again. If you hang up and call the number for your grandchild, the scammer might answer because they’ve managed to reroute the number or the scammer has actually stolen the phone. More likely, no one answers because the scammers have timed the call when your loved one is known to be busy (at work or at school). Attempt to make contact with your loved one in various ways; you can try calling their workplace or school, emailing them or messaging them on social media. Contact people who might know where your loved on is or that can assure you they are safe. For example, if your grandchild is threatened, contact their parents. The National Center on Elder Abuse (NCEA) recommends calling 911 immediately if you believe an elderly friend, relative or neighbor is in immediate, life-threatening danger. If the danger is not immediate but you suspect that abuse has occurred or is occurring, relay your concerns to the local adult protective services agency, long-term care official or police, as noted for the various types of abuse above. To find the right helpline, hotline or elder abuse resources in your local area, visit the NCEA website.